Impotence issue is difficult to live with; however, appropriate intake of medication helps men to deal with this issue in minutes. Manforce 50 pill is manufactured by Mankind Pharma Ltd. for the same impotence issue. Main active component Sildenafil Citrate 50 mg (generic Viagra) in the medicine has the ability to loosen arterial blockage and boost flow of blood in penile region. This action mechanism helps men to attain and maintain penile erection for longer time. Consume this 50 mg powered medicine, alone with plain water. Do not alter the state of medicine by chewing or crushing pill. Moderate intake of pill is highly recommended for safe and maximum outcome. Effectiveness of Sildenafil Citrate 50 mg (Generic Viagra) pill stays in body for up to 5 hours. 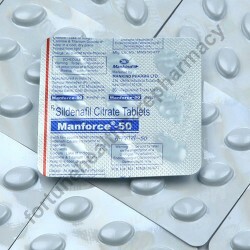 Side effects with Manforce 50 mild powered medicine include headache, stuffy nose, etc. 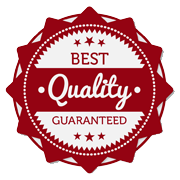 These mild effects are nothing to worry about as they do not lasts for longer time. Severe reactions take place in rare cases of overdose or due to allergic reactions.